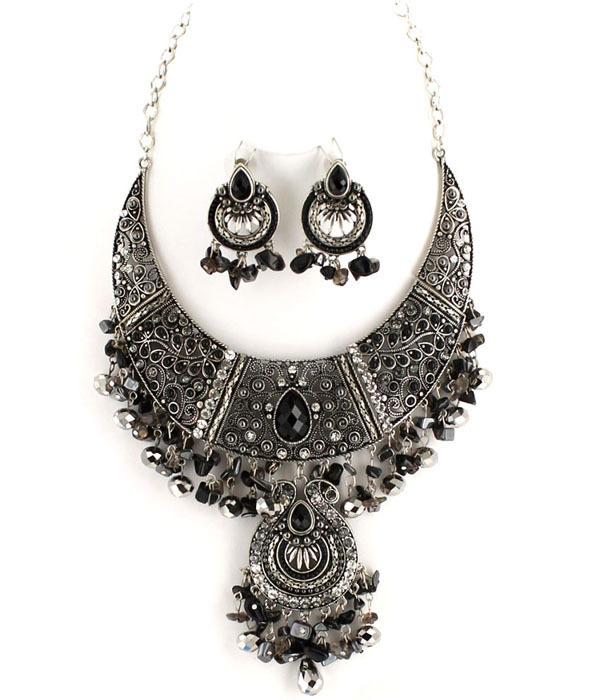 Sophisticated and rich, Paris necklace features trendy bib design, silver filled framework with floral motifs, pendant detail in the center, abundant black bead and rhinestone embellishment. Large earrings with a row of dangling beads. Buy now from Oz Bling, a popular and trusted online jewellery store.